These are Irina Kulikova and Marielle. Irina is a Russian guitar player living in Holland. 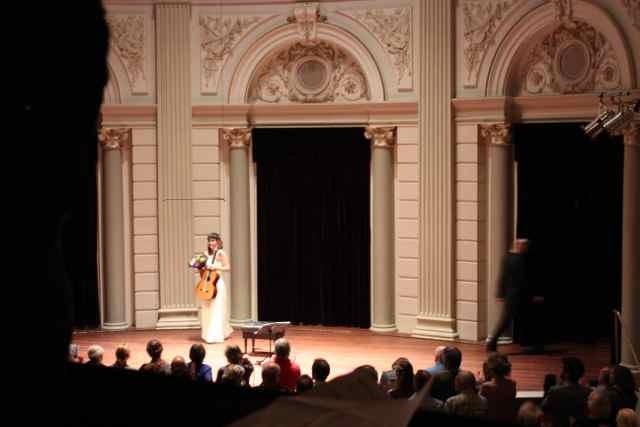 She presented her latest cd in our series Meesters op de gitaar, in het Concertgebouw van Amsterdam. 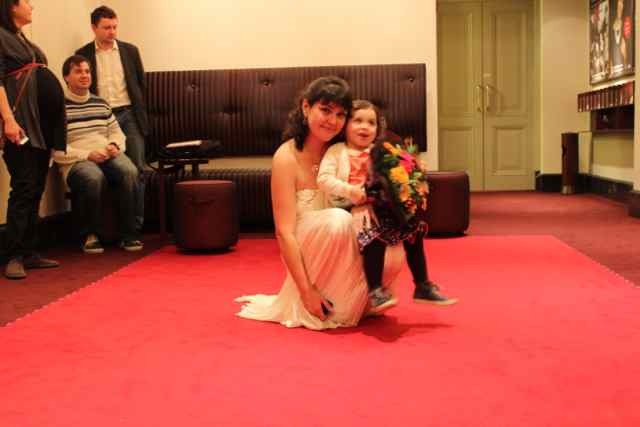 While her mother was on stage, giving a beautiful concert. Marielle was enjoying herself in the lobby. They were happily reunited afterwards.